With wonderful curved rafters, this pergola design will create an unusual and stunning feature in your garden. Add bold oriental-style planting and accessories to enhance the effect. 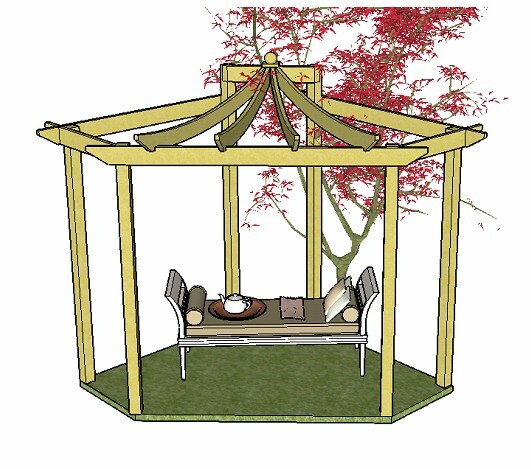 The plans include step-by-step Asian pergola plans for beginners, with 18, free, rafter tail templates to make this a unique and interesting place to relax and entertain in style!